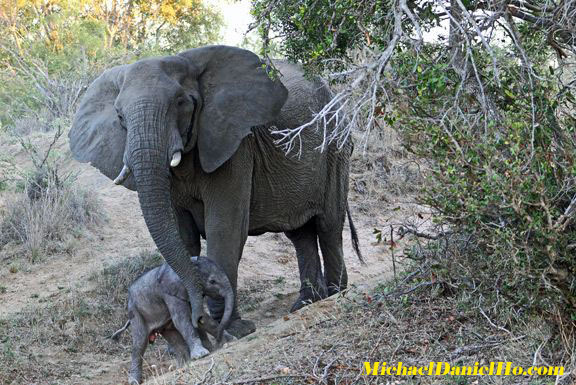 I am off on a wildlife photo shoot in Southern Africa with the EOS-1D X Mark II camera. You can follow my travels on Twitter and Facebook. MELVILLE, N.Y., August 29, 2016 – Canon U.S.A., Inc., a leader in digital imaging solutions, announced today that from August 6 to August 20, nearly 70 percent* of professional photographers on assignment in Brazil were Canon shooters. In addition, Canon brought a team of more than 70 highly trained technicians and support staff to Brazil this month to help maximize the uptime and performance of its professional broadcast and EOS imaging equipment users. Canon HDTV field lenses were ready on the evening of August 5 bringing viewers worldwide approximately 80 percent and nationwide 100 percent of the images they saw on TV. “It is humbling to know that such a large number of the world’s most talented sports photographers relied on Canon equipment to capture this historic sporting event. Their iconic images from so many different events have been and will be seen by millions of people around the world for years to come. To support the needs of our customers and help them accomplish their goals, Canon Professional Services is always set up and ready at major sporting events throughout the year to assist by providing comprehensive equipment maintenance and repairs, extensive equipment loans and expert technical support,” said Yuichi Ishizuka, president and COO, Canon U.S.A., Inc.
Canon Professional Services proudly attends to photographers at major sporting, auto racing, Hollywood, and political events throughout each year. 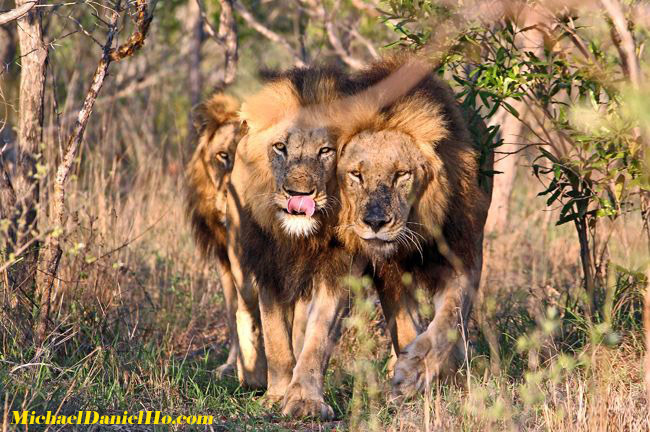 I will be away on a wildlife photo shoot in Botswana and South Africa. My journey takes me to Chobe and Greater Kruger National Parks and several neighboring game reserves. Chobe and Kruger are two of the largest national parks in Africa. They are larger than a few states in the New England region of the U.S. The reserves adjacent to Kruger National Park, Timbavati and especially Sabi Sand and Mala Mala are famous for its populations of Leopards and Cheetahs. 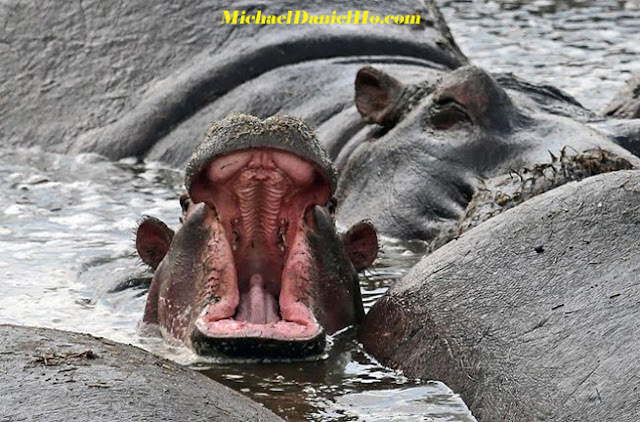 Hippos and many more. There are also hundreds of species of birds to marvel and photograph for the ornithologist in many of us. The critically endangered African wild dog is also a regular visitor to some areas of the parks. The larger and rarer antelopes such as Roan, Eland and Tsessebe may also be seen but their numbers are still critically low. In the last few years, I have been keeping things simple and down sizing the equipment I bring on wildlife photo shoots. In addition to the EOS-1D X Mark II, I am bringing the EOS-5Ds, EF 400mm f/4 DO IS II , EF 100-400mm f/4.5-5.6L IS II , EF 24-105mm f/4L IS , EF Series III Extenders and the usual accessories of filters, spare memory cards and batteries. I will try and make a few blog posts and keep you abreast of any breaking photography news, time and energy permitting. In the meantime, you can follow my travels on Twitter and Facebook. 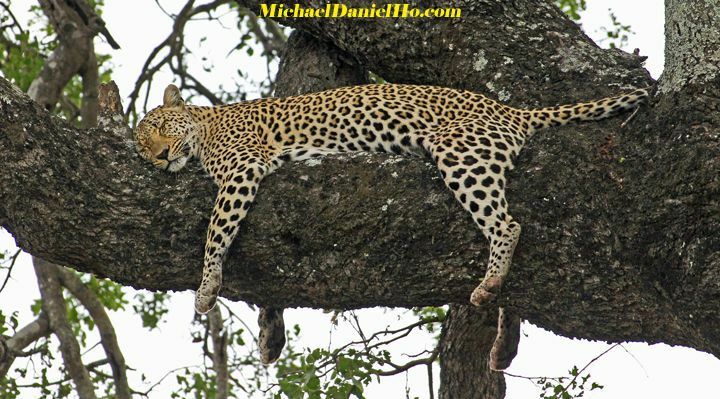 I will be off to Southern Africa on a wildlife photo tour. Just a quick note to let my readers know Canon will be announcing a replacement to its non 'L' EF 70-300mm f/4-5.6 IS lens with the Series II some time in Q4. It will be after the announcement of the EF 24-105mm f/4L IS II and EF 16-35mm f/2.8L III and the Photokina Show in Cologne, Germany in September. I expect the price of the lens to be slightly higher than the current model but comes with much better technology and optics, including a small LCD display window. 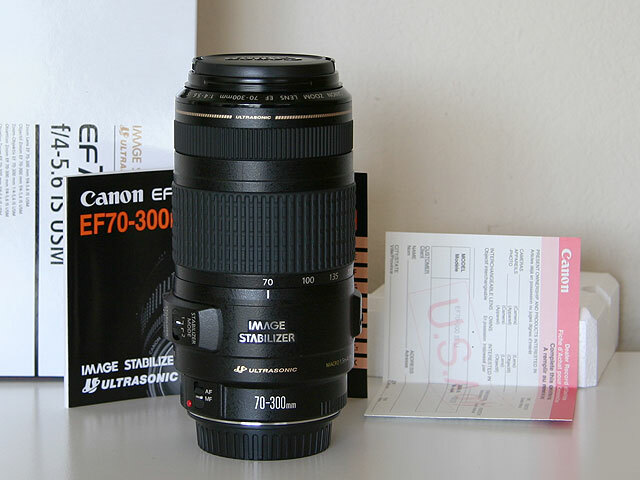 The EF 70-300mm f/4-5.6L IS and EF 16-35mm f/2.8L II are two of my favorite 'L' lens. You can see my equipment bag, works on MichaelDanielHo.com and follow my travels on Facebook and Twitter. As reported earlier, Canon is expected to announce a new mirrorless camera some time before the end of the year. 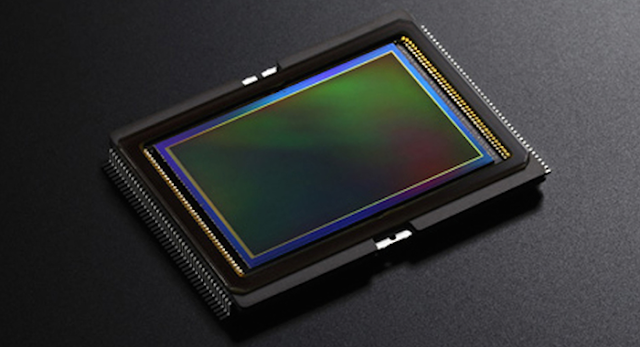 It seems the new camera may be called the EOS-M5 and comes with the APS-C sensor. This will not be the full frame mirrorless camera Canon is working on and is also expected to announce some time in 2017. Canon's registration with Russian certification authorities seem to indicate the new camera is coming with additional EF-M lens as well. Keep checking back for the latest info as I get them. MELVILLE, N.Y., August 25, 2016 – Canon U.S.A., Inc., a leader in digital imaging solutions, announced today the new Canon EOS 7D Mark II Kit, featuring the new SD card-sized Wi-Fi® Adapter W-E1. 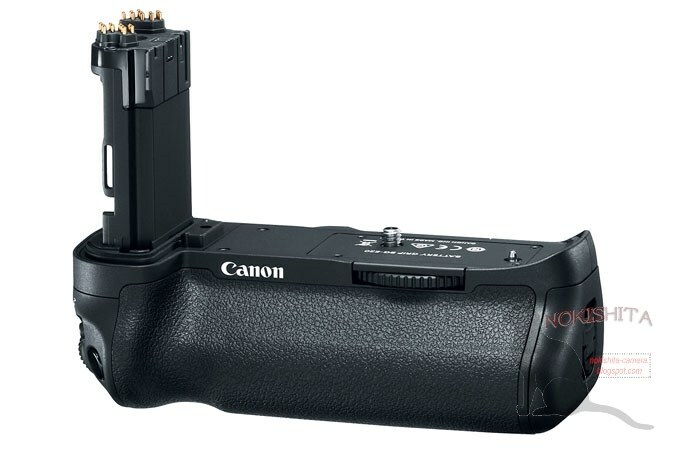 This new Wi-Fi adapter, when placed in one of the camera’s SD card slots, provides the EOS 7D Mark II with Wi-Fi capabilitiesi like easy transferring of images and MP4 videos as well as use of the Canon Camera Connect App for remote capture of still images via a compatible smartphone or tablet. The Wi-Fi Adapter W-E1 will be sold with the EOS 7D Mark II body as well as sold separately, and can also be used with the EOS 5DS and 5DS R as well as previously purchased EOS 7D Mark II camerasiii. When used with EOS 5DS and 5DS R cameras, the Wi-Fi Adapter W-E1 functionality is limited to the transfer of still images only. The W-E1 will support 802.11 b, g and n using the 2.4 GHz band. Additionally, for the first time the EOS 7D Mark II camera will be conveniently bundled with the Canon EF-S 18-135mm f/3.5-5.6 IS USM lens. This lens has been optimized for high-speed autofocusing when shooting stills and quiet and smooth zoom when shooting video. This is the first Canon lens equipped with Nano USM technology providing high-speed autofocus for shooting stills and silent, smooth autofocus when shooting video. 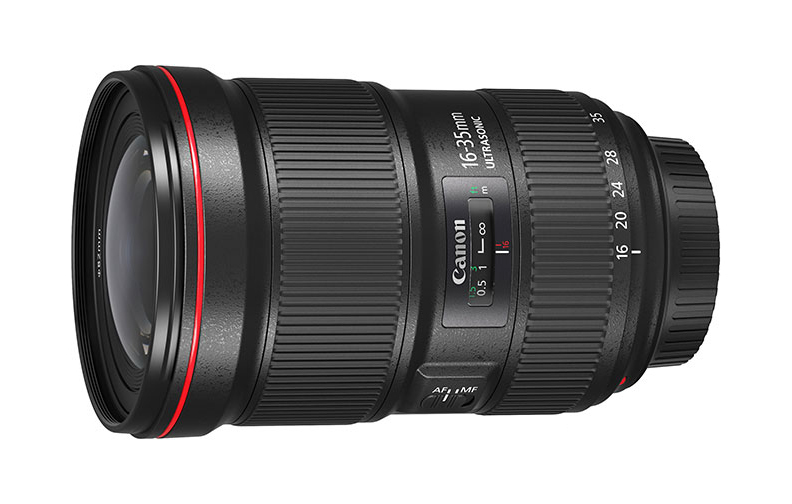 The Canon EF-S 18-135mm f/3.5-5.6 IS USM Lens also provides up to four stops of optical image stabilization. 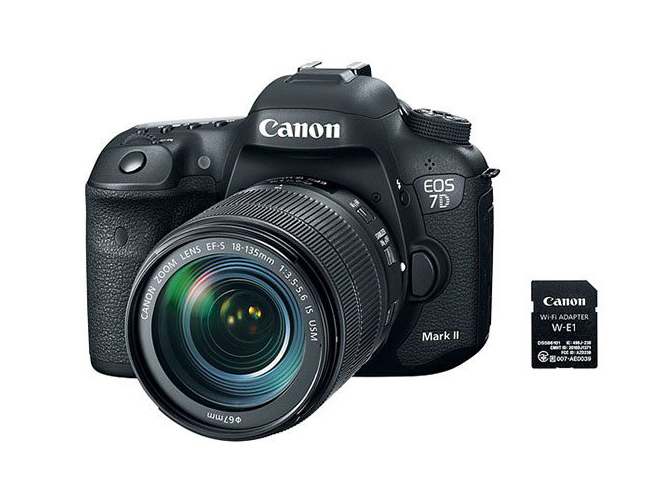 The new Canon EOS 7D Mark II Lens Kit is currently scheduled to be available in October 2016 for an estimated retail price of $2,449.00*, with the body-only version also currently scheduled to be available in October 2016 for an estimated retail price of $1,849*. The Wi-Fi Adapter W-E1 is scheduled to be available in early September 2016 for an estimated retail price of $50.00*. A firmware update to enable compatibility with the W-E1 for previously purchased cameras is currently scheduled to be available in early September 2016 for the EOS 7D Mark II camera and November 2016 for the EOS 5DS and 5DS R cameras. Canon is very responsive to its professional users. From the feedback of sports, wildlife photographers and news photojournalists, they will be coming out with a significant firmware upgrade for the EOS-1D X Mark II camera soon. Firmware Version 1.1 clearly has professional photographers, photojournalists and serious users in mind. In a nutshell : what’s new and different? The aim of these changes is to enhance a professional photographer’s workflow; improve on-location network and Wi-Fi operations (especially for photographers working at large events, with many Wi-Fi networks in simultaneous operation); and to smooth the process of transferring images and managing them with new embedded metadata. We’ll take a brief look at each, to shed some light on what changes and potential applications have been implemented. 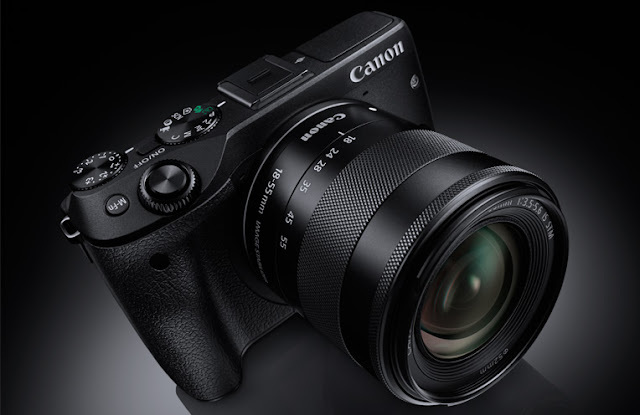 Keep in mind that the EOS-1D X Mark II differs from other Canon EOS models in that it not only permits network communication and transfer of images via Wi-Fi (using the optional WFT-E8A or WFT-E6A wireless file transmitters), but also via wired ethernet connection — there’s a dedicated ethernet port on the camera for this purpose. This allows similar network connectivity, but without some of the variables users can encounter on-location with Wi-Fi transmission. Firmware v. 1.1 doesn’t change this; we only want to remind users of it here. Initial versions of the EOS-1D X Mark II camera did not have this feature, often very useful to workflows in professional organizations. IPTC (International Press Telecommunications Council) data has been used with digital photos in the news photojournalism field for many years. It consists of text data which is pre-defined, and can apply additional, searchable information that can accompany an image file after it’s been downloaded to an organization’s storage and archiving system. This can include captioning information and so on, so it’s potentially more expansive than simple keywording — although it can be used for that as well. With Firmware v. 1.1 installed, the EOS-1D X Mark II will now be able to add up to 39 IPTC items of information, separately and in addition to the normal EXIF shooting information the camera normally applies for each image that’s taken. Parenthetically, the EOS 5D Mark IV camera will have the same capability upon its release, with no firmware upgrade required. IPTC data cannot be viewed or edited in-camera…once installed, to change it you must re-connect the camera to a compatible Mac or Windows computer with Canon’s EOS Utility software installed, and use EOS Utility to edit or change the IPTC information. Once a set of IPTC data is entered, the same data is applied to each image. Unlike the camera’s normal shooting data, the IPTC data does not change to reflect different camera settings and so on. You can turn IPTC data on or off in-camera, using the Menu selection to enable or disable it. Disabling it does not remove it altogether from the camera…it simply means it won’t be attached to image files until you turn it back on. During image playback, you can see whether IPTC data is attached to an image, but you cannot see the actual IPTC data. Regular EXIF shooting data (date/time, shutter speed, aperture, ISO, and so on) is completely unaffected. To completely remove IPTC data from the camera (for example, if you were loaning a camera to another photographer, and didn’t want to risk that he or she would accidentally have your IPTC data added to their pictures), you must re-connect to a computer, and delete it via EOS Utility. Only one set of IPTC data can be registered and uploaded into the camera at a time. Even though IPTC metadata is targeted at larger photo organizations, it has potential applications for individual photographers. Especially interesting is that some third-party software programs, such as Adobe® Lightroom®, have the ability to read attached IPTC metadata. Numerous possible tags and information could be used for searching, editing purposes, and so on. It’s beyond the scope of this article for Canon staff to explain how various third-party software can use IPTC data, but there’s no doubt that intriguing options are out there for interested photographers working with the EOS-1D X Mark II, once firmware has been upgraded to version 1.1, as well as for customers buying a new EOS 5D Mark IV camera. Another real-world application for IPTC metadata for individual users might be to add precise copyright info to each image taken with the EOS-1D X Mark II camera. The IPTC input allows extended information, including the actual copyright symbol, to be part of the data that can accompany image files after they’re taken. Similarly, the IPTC data could allow users to include not only their name, but contact information such as their personal or business web address (URL), which could have possible benefits not only for added copyright protection, but even encourage possible image sales to other viewers. With an eye toward high-end professional organizations at large sporting and news events, Firmware v. 1.1 for the EOS-1D X Mark II will now allow users to save set-up information for up to 40 different Wi-Fi set-ups, and store them on a memory card for future access. The EOS-1D X Mark II has always allowed users to create and save (register) set-up information for up to 20 different network connections, in the camera. The idea, of course, is to allow a photographer to quickly access and begin working with a pre-established wireless (or wired, ethernet LAN) network — as is often required by press photographers upon arrival at major venues and events. And, users could store connection information (IP addresses, passwords, etc.) for 20 additional sites on a memory card, and access them independently. 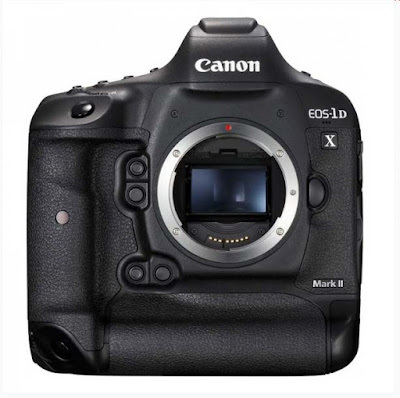 What’s new with Firmware v. 1.1 is that the EOS-1D X Mark II expands the number of network connections that can be saved and then accessed on a memory card. Up to 40 separate networks can now be saved to a relatively low-capacity memory card, carried with the photographer in his/her camera bag, and quickly accessed as a full set of 20 networks any time he or she needs to work with them. This could allow a user to store personal network information (home, office, and so on) in-camera, and allow his or her organization to supply updated network information ahead of time, copied to a CF (or CFast) card, for use at an upcoming major event. Either a CF or CFast 2.0 memory card can be used to save this information…as a practical matter, it probably makes sense for most users to use a lower-capacity, inexpensive CF card for this purpose, and rely on newer, faster and higher-capacity cards for actual image storage. Many EOS camera models have had a “protect” feature, which allows users to mark or tag images and prevent accidental erasure during playback. EOS-1D X Mark II cameras with Firmware v. 1.1 installed now offer a new means of selecting images for transfer to a network — select protected images for transfer. Pressing the little back button with a key icon will apply a “protect” tag to individual image files, one at a time, as they’re being reviewed during playback. Once desired files are marked with the “protect” icon, EOS-1D X Mark II cameras that have been updated to Firmware v. 1.1 can now select all protected images via a new menu selection, and have them transferred in one batch. This is a quick means of editing in-camera, and getting images ready to send to a wireless or wired network via FTP transfer. It can also function via USB connection, directly to a compatible Mac or Windows computer, for FTP transfer of image files. With Firmware v. 1.1 installed, EOS-1D X Mark II cameras will now continue to attempt to re-connect and transfer images for longer periods of time, if and when there’s an interruption in network connections. Previously, unless the camera’s Auto Power Off had been pre-set to 15 minutes or longer, the camera would stop trying to re-transfer after about 6 minutes. Now, with Firmware 1.1, it will continue to attempt to re-transfer for 10 minutes, even when Auto Power Off is set to a shorter time frame. At Auto Power Off settings of 15 minutes, 30 minutes, and Disable (camera doesn’t go to sleep after inactivity), automatic re-transferring of images which failed to transfer will continue for the same duration as the Auto Power Off setting. The benefit? One less thing for busy, working press photographers to concern themselves with, when transferring files while on-location. Network interruptions, especially with Wi-Fi, are sadly a common occurrence at major events. If they occur while a shooter is attempting to meet a deadline and transfer images, he or she can take a bit of comfort knowing that the process will continue for longer periods, once re-connected with a network. Especially now that GPS is built into the EOS-1D X Mark II body, it’s a feature that working pros and even advanced enthusiasts may call upon frequently. Until now, to put GPS location information onto images being taken, an active connection to GPS satellite data was required. Unfortunately, GPS communication can be interrupted by environmental situations — primarily stepping indoors, after starting GPS up while outside. In the past, if and when GPS was interrupted, the camera would stop putting any GPS location information with the shooting data for each image taken. Now, Firmware v. 1.1 for the EOS-1D X Mark II changes this, and allows the last known GPS coordinates to continue to be added, even if actual GPS communication has failed. The benefit is a shooter working at (for example) an indoor sports arena or a domed stadium can now set up his or her GPS outdoors, before entering the building. Once indoors, they can shoot an entire event, and each image will contain the last known GPS coordinates as location data. True, it won’t be completely precise if the photographer moves around a very large area, but at least he or she now has some record of approximate location, which can stay with their images. And, there’s a new Menu setting, giving the shooter a choice of how long to retain previous GPS position information. If/when GPS communication resumes, the system will begin to add that new location information to new images, as they’re taken. Firmware v. 1.1 for the EOS-1D X Mark II adds another requested feature — the ability to make subtle changes to the LCD monitor’s color tone. Four pre-set choices allow the photographer to use the factory-default setting, warm the display’s color rendition slightly, or cool it slightly (add a bit of a bluish tint), in two stages. In general, to match the display of cameras like the previous EOS-1D X or EOS 5D Mark III, you may want to try the Cool Tone 1 or Cool Tone 2 settings. And the other might be to accommodate slight viewing changes to the LCD monitor, from differing ambient light conditions. While it probably goes without saying, we’ll reinforce it here — this adjustment to the LCD monitor’s color tone has nothing to do with the White Balance or other settings of actual image and video files, and does not in any way change any files in-camera. It simply adjusts the look of the monitor screen they’re being viewed on. Canon’s most professional digital SLR gets a user-installable firmware upgrade that’s clearly aimed right at high-end, institutional users — especially those in sports and news journalism fields. Individual professionals working in other areas, and our high-end enthusiast customers, can be forgiven if they feel that most of the new features and capabilities added are not directly targeted at them and the types of work they do. But even for the individual EOS-1D X Mark II owner, there are some features that they may want to leverage. In particular the ability to add IPTC data, and then use that with third-party software for in-depth captioning and keywording, may be a valuable feature. The firmware is a free upgrade, and adds features and functionality to the EOS-1D X Mark II camera. We certainly recommend that anyone remotely involved in the photojournalism market add this firmware to his or her cameras, and it may prove beneficial even to users who work in different markets, and in different circumstances. One last point : this firmware applies only to the EOS-1D X Mark II camera. 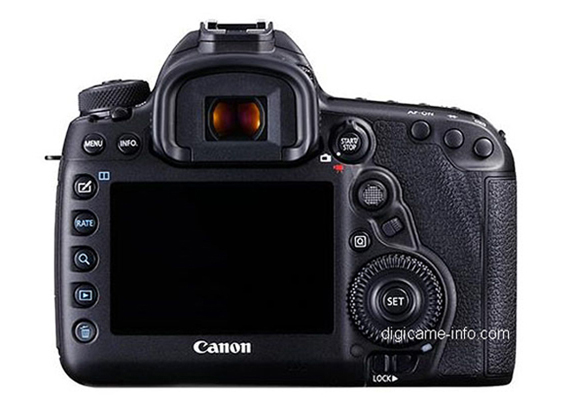 It cannot be installed in previous versions of the EOS-1D or EOS-1Ds, nor can it add these features to other models (EOS 5D series, EOS 7D series, etc.). The current EF 24-105mm f/4L IS lens is my favorite walk around lens for travel and wildlife photography. I have placed my pre-order for the Series II lens already. In addition to the newly announced EOS-5D Mark IV DSLR camera, Canon has also introduced two EF-Series L-series lenses as well as the W-E1 WiFi adapter card. The new EF 16-35mm f/2.8L III USM Ultra-Wide Zoom Lens features a large diameter GMO dual surface aspherical lens and ground aspherical lens, f/2.8 aperture throughout the entire zoom range, fluorine coating, improved durability and is dust and water resistant. The new EF 24-105mm f/4L IS II USM Standard Zoom lens features an improved four-stop image stabilization as well as ghosting and flare reduction with air sphere coating. The Canon EF 16-35mm f/2.8L III USM Ultra-Wide Zoom Lens is scheduled to be available late in October for an estimated retail price of $2,199.00 and the EF 24-105mm f/4L IS II USM Standard Zoom Lens is scheduled to be available in late October for an estimated retail price of $1,099.00. The Canon EOS-5D Mark IV camera is finally here. You can see sample photos posted by Canon Japan and download the Camera Instruction Manual. The camera's list price is $3,499 in the U.S., €4,300 in Europe, £3,630 in the U.K. There are two Canon videos on the new camera below. “When working with macro beauty photography, I need fast and precise autofocus. With each breath of the subject I need to be able to check the exact placement of focus, whether on the tips of the eyelashes, the pupils or other detail of her face. The EOS 5D Mark IV gave me exactly the speed and precision required to capture the detail and stunning color that is a signature of my beauty work,” remarked celebrated fashion and beauty photographer and Canon Explorer of Light Lindsay Adler. “I’m always looking for ways to create visuals that help me stand out from the competition. The Canon EOS 5D Mark IV DSLR is currently scheduled to be available in early September 2016 for an estimated retail price of $3,499.00 for the body only††. It will also be sold as part of body-and-lens kits with the EF 24-70mm f/4L lens ($4,399.00, scheduled to be available early September) †† and the EF 24-105mm f/4L IS II USM lens ($4599.00, scheduled to be available late October) ††. In addition to the new EOS 5D Mark IV DSLR, Canon is also introducing two EF-Series L-series lenses as well as a variety of EOS accessories. The new EF 16-35mm f/2.8L III USM Ultra-Wide Zoom Lens features a large diameter GMO dual surface aspherical lens and ground aspherical lens, f/2.8 aperture throughout the entire zoom range, fluorine coating, improved durability and is dust and water resistant. The new EF 24-105mm f/4L IS II USM Standard Zoom lens features an improved four-stop image stabilization as well as ghosting and flare reduction with air sphere coating. The Canon EF 16-35mm f/2.8L III USM Ultra-Wide Zoom Lens is scheduled to be available late in October for an estimated retail price of $2,199.00 and the EF 24-105mm f/4L IS II USM Standard Zoom Lens is scheduled to be available in late October for an estimated retail price of $1,099.00. The EOS-5D Mark IV is Canon's most anticipated pro camera after the EOS-1D X Mark II because it promises a continuation of the highly successful EOS-5D line into a new decade. You can see the photos, expected specs plus the two EF lens that will be announced at the same time, in my earlier posts. Canon's announcements for 2016 is not over yet. There may be a new EOS-M camera coming before the end of the year. Perhaps just before the CES Show in Las Vegas on January 5, 2017. This will not be the full frame mirrorless model. Instead it will have the APS-C sensor. There will be a few new EF-M lens to go with the launch and I doubt the new camera will have 4K video. Keep checking back for the latest info. I will update my readers as soon as I receive them. 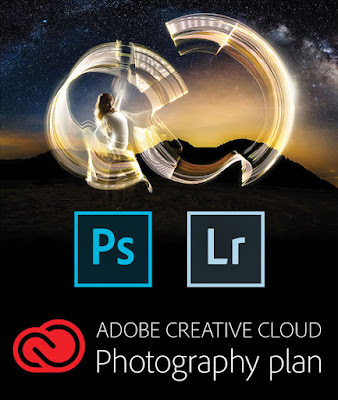 Adobe is offering an instant savings of $29.96 for a one year subscription of their Creative Cloud Photography Plan. Use promo code CCPHOTOPLAN for the discount. This promotion can be added on to existing Creative Cloud subscriptions. Read Adobe's Q&A section for more details. 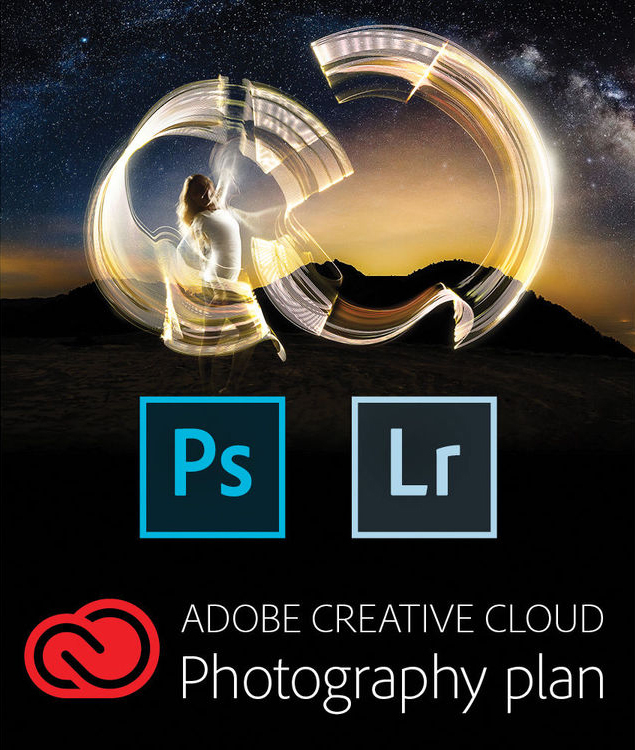 For comparison, see all available Creative Cloud plans on Adobe's website. 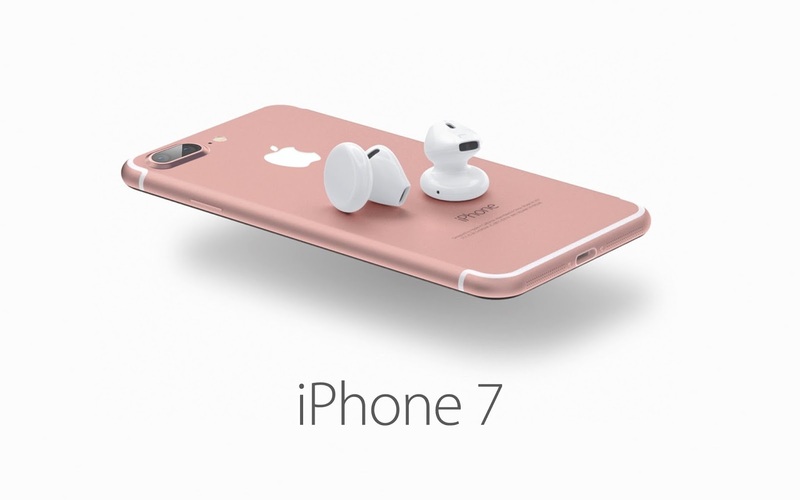 Apple is expected to announce the iPhone 6 successor on September 7, 2016. It may be called the iPhone 7 or Apple may save that name for next year's planned big celebration launch. Apparently the new phone comes in two models, the smaller one will have a 4.7 inch screen and only one camera while the larger iPhone will have dual front and rear cameras. Both models may be equipped with Image Stabilization. The upcoming Apple operating system, iOS 10 will have RAW image data. 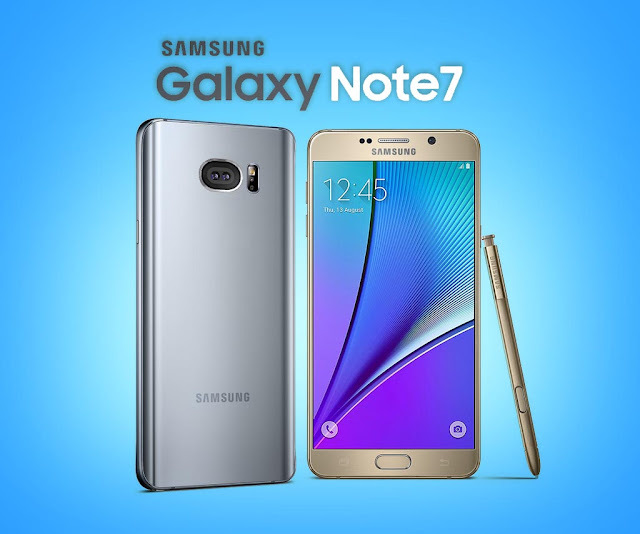 Apple is in for some serious competition from the Samsung Galaxy Note 7. It is available the last week of August. 2017 will be the 10th birthday of the first iPhone model. Apple is apparently planning to release 3 new phones. These new phones will boast a big redesign with state-of-the-art features. There will be a 4.7 inch and 5.5 inch model, respectively. In addition, there may be a premium 5.5-inch model with a curved screen on both sides. The screen on this new phone will most probably be OLED (Organic Light-Emitting Diode). All phones may have DSLR grade cameras with built-in Image Stabilization and the Home button may be eliminated altogether. 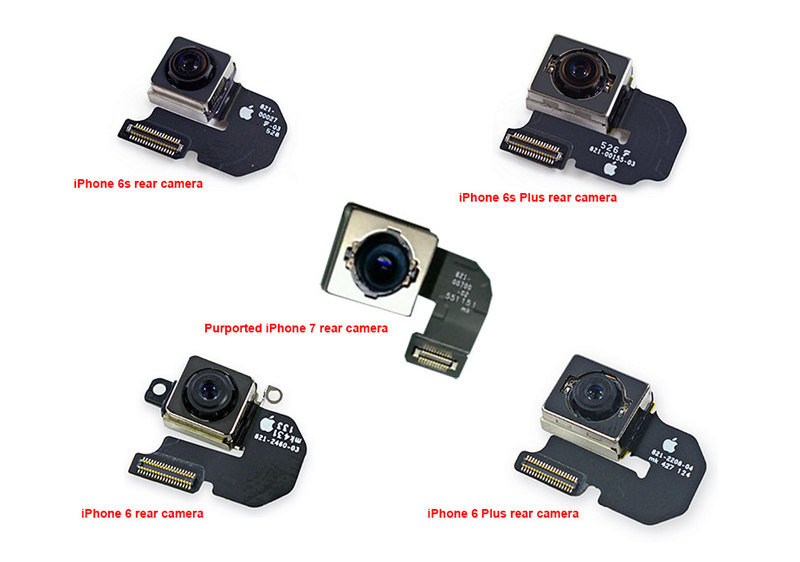 Read my earlier post on how smartphone cameras compare with DSLR cameras. Currently, Apple iPhones use LTPS (Low Temperature Poly-silicon Panel) screens. The new Samsung Galaxy Note 7 uses an OLED screen. Currently, Samsung is the only supplier of OLED phone screens and they may have trouble producing enough panels for both their own phones and the new Apple line coming next year. 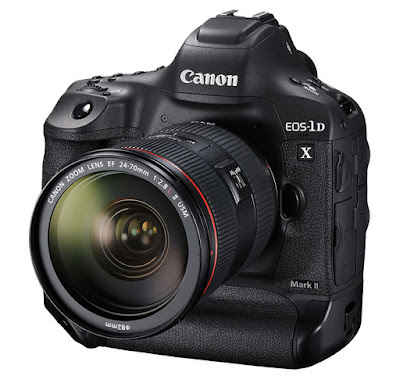 There is a highly-rated merchant on eBay selling the Canon EOS-1D X Mark II camera for $5,499 including free shipping. The list price is $5,999. As The Wildlife Ho-tographer, my readers know I have picked its predecessor, the EOS-1D X as the best, full frame DSLR for wildlife photography four years in a row. This new camera is taking over that title for me very soon. You will not find a link to this merchant because I do not accept any advertisement, commissioned link and tracking cookies on my Blog or website. I am completely unbiased in my recommendation and have no conflict of interest. You can find the listing easily by Googling it yourself. The Canon XC10 4K camcorder was announced in April 2015. Designed for the consumer market, the camera did not garner many favorable reviews. Now Canon is expecting to give it another try soon. The new model will be called XC15 and may be announced at the same time with the C700 camcorder, ahead of the big IBC on September 1, 2016. The professional grade C700 may be equipped with a Super 35mm sensor capable of shooting videos exceeding 4K with dynamic range of about 15 stops. It will support anamorphic lens and the price will be quite high, perhaps in the $30,000 range. Canon and Associated Press were well prepared to cover the 2016 Olympics in Rio. They spent a month before the Games to install almost 35 miles of cables, remote camera and robotic systems to photograph all the sporting events. The remote and robotic cameras are strategically located to cover all angles : above in the rafters, below in the water, and closeup at the side of the tracks. Photographs collected from these systems and sports photographers are beamed to a team of sixteen photo editors. They process something like 3,500 photos a day and select a few for distribution. Apple is expected to announce the iPhone 7 on September 7, 2016. Apparently the phone comes in two models, the smaller one will have a 4.7 inch screen and only one camera while the larger iPhone will have dual front and rear cameras. 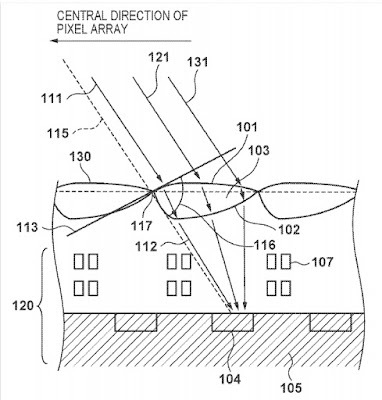 Both models will be equipped with Image Stabilization, apparently. The upcoming Apple operating system, iOS 10 will have RAW image data. 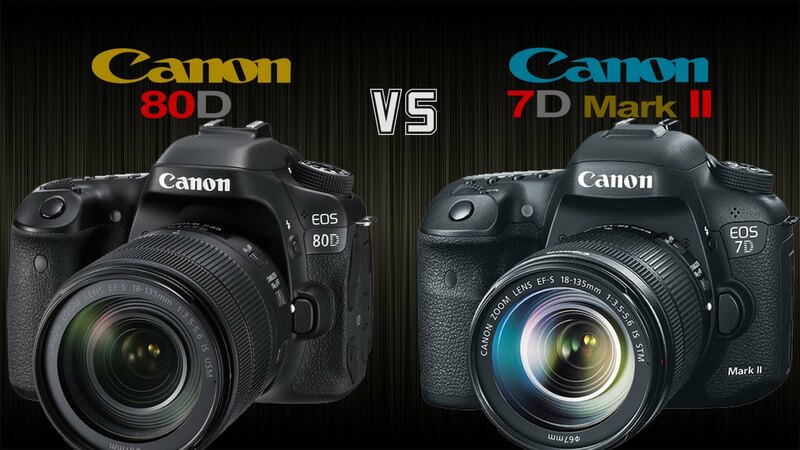 Read my earlier post on how smartphone cameras compare with DSLR cameras. Apple is in for some serious competition from the Samsung Galaxy Note 7. It is available the last week of August. 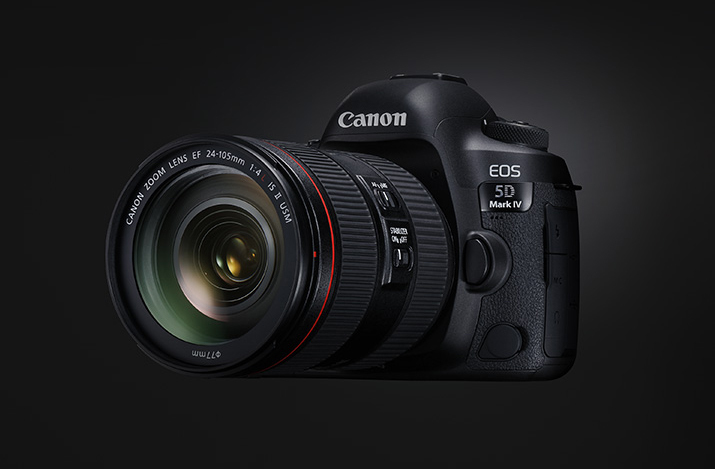 The EOS-5D Mark IV is Canon's most anticipated pro camera after the EOS-1D X Mark II because it promises a continuation of the highly successful EOS-5D line into a new decade. Canon is trying to keep the Mark IV's list price as close to the Mark III ($3,499) as possible but the appreciation of the Yen is making it very difficult for them. The EOS-5D Mark IV will be announced on August 25, in time for the Photokina Show in Cologne, Germany on September 20. Below are the latest specs I have on the upcoming camera. 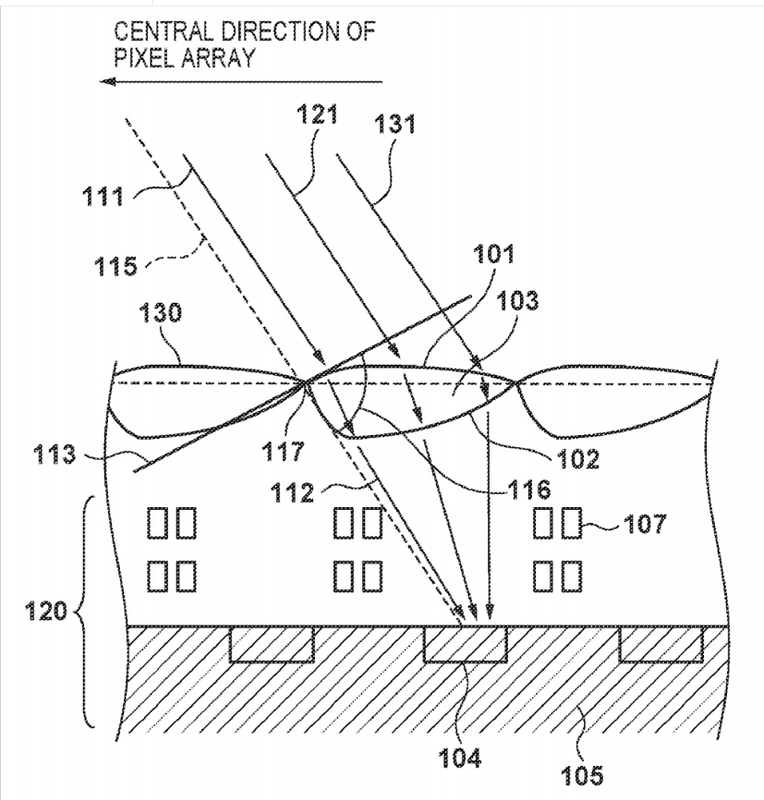 I place a 80+% chance the sensor and processor will be 30.4MP and DIGIC 6+. Keep checking back. I am trying to confirm the specs below and add additional ones as the announcement date approaches. 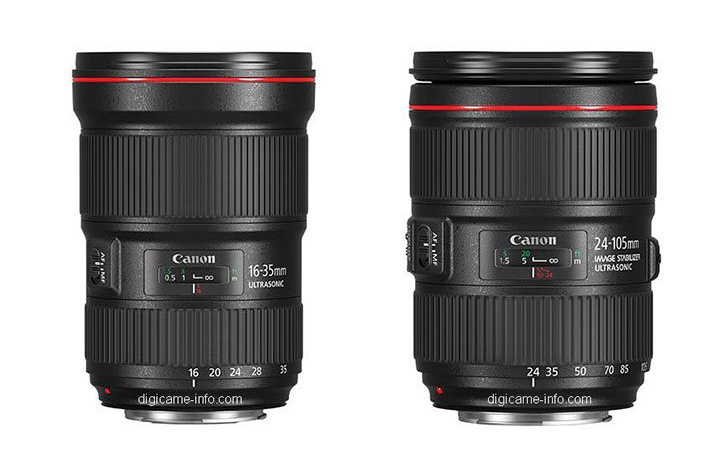 The replacement to two of my favorite Canon short zoom lens will be announced next week. The EF 16-35mm f/2.8L II and EF 24-105mm f/4L IS II. 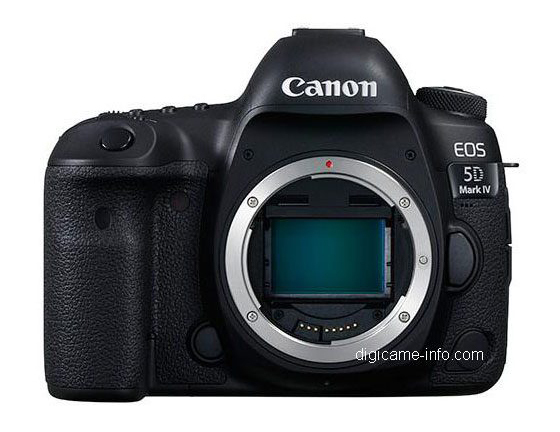 In addition, the long awaited, EOS-5D Mark IV will also be introduced. This camera is in effect a little brother to the flag ship EOS-1D X Mark II. List price : $2,199 in the U.S. List price : $1,099 in the U.S. Many photographers use some derivative of Adobe's Photoshop software to post process their digital photos. The products many include the Creative Cloud suite, stand alone Photoshop, Lightroom, Elements, etc. Below are some handy shortcuts for Photoshop CC. Adobe has announced their latest Photoshop CC version in early August. Take a look at my earlier post for Adobe Photoshop and Lightroom shorcuts as well. Below are the latest specs I have on the upcoming camera. I place a 80+% chance the sensor and processor will be 30.4MP and DIGIC 7. Keep checking back. I am trying to confirm the specs below and add additional ones as the announcement date approaches. United Kingdom, 15 August 2016 – Canon today announces it has been honoured with four product awards from the European Imaging and Sound Association (EISA). The EOS 80D has been named the ‘European DSLR Camera 2016-2017’, while the EOS-1D X Mark II took the title of ‘European Professional DSLR Camera 2016-2017’ and the EF 35mm f/1.4L II USM and the imagePROGRAF PRO-1000 received awards for ‘European Professional DSLR Lens 2016-2017’ and ‘European Photo Printer 2016-2017’ respectively. With recognition for products that span both capture and print, the wins in 2016 reflect the outstanding, market-leading quality of Canon products across the imaging eco-system. Voted for by panels of editors representing nearly 50 prominent magazines from across 20 European countries, the EISA Awards celebrate products which combine the most advanced technology, distinctive design and desirable features, with genuine value for end users. Each of the winning products has been enthusiastically received since launch, and the EISA award recognition is further testament to their outstanding quality and performance. The Canon EOS-80D is more than just another SLR. 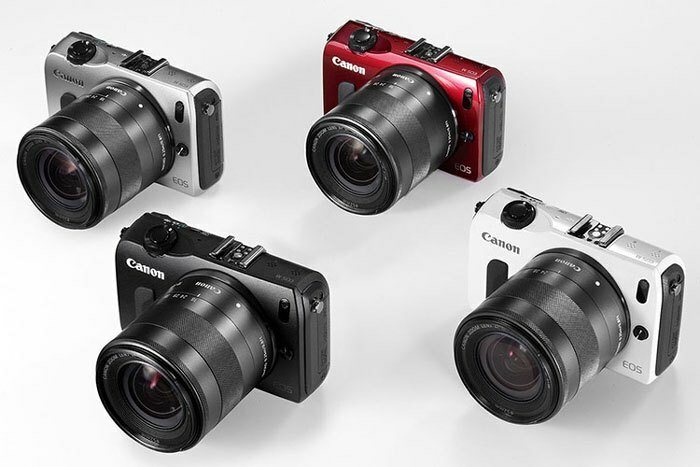 Canon has brought a camera to the market that incorporates many innovative functions for photo and video. The key feature is Canon’s Dual Pixel CMOS AF which enables fast focussing during live view and video, which is also supported by the new Power Zoom Adapter PZ-E1 which works together with the new EF-S 18-135mm f/3.5-5.6 IS USM kit lens. The AF is also greatly improved and now sports 45 cross-type sensors, while the high resolution vari-angle LCD allows touchscreen operation. Last but not least, the EOS 80D has class leading image quality. 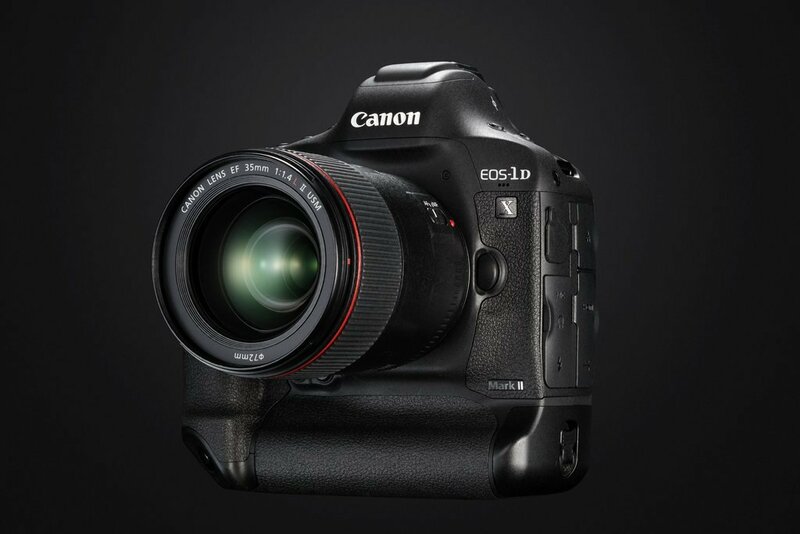 The Canon EOS-1D X Mark II is the fastest DSLR ever, making it the best tool for the professional sports photographer. It can take 14 images per second of moving subjects, an impressive achievement that’s particularly useful for action photography. Compared to the previous model Canon has increased the still image quality significantly, and improved the autofocus particularly when using lenses with extenders. The video function is also much more advanced with high quality 4K recording and fast autofocus in live view mode. All the improvements together with the rugged body make the Canon EOS-1D X Mark II an even better all-round camera than its predecessor. 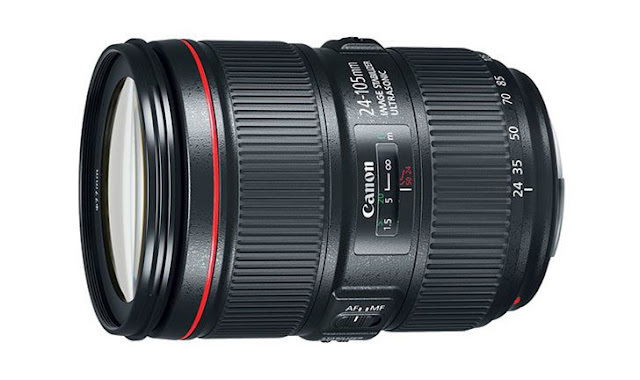 The Canon EF 35mm f/1.4L II USM gives exciting performance: it is the best 35mm lens on the market. Image sharpness is unbelievably high, both at the centre and at the edges, even at f/1.4. Canon uses key technologies as Subwavelength Structure Coating (SWC) to increase light transmission, reducing both flare and ghost images. In addition a Blue Spectrum Refractive (BR) lens, made of organic material, enables very efficient correction of axial chromatic aberration that’s impossible to correct by software. The 9-bladed aperture diaphragm creates very attractive bokeh and a seal on the mount protects the camera from dust and moisture. Canon’s imagePROGRAF PRO-1000 is a dedicated A2 photo printer that uses pigment inks for the best possible print quality, including great light fastness [the resistance to colours fading] and print longevity. With a maximum print resolution of 2400x1200dpi, it uses 12 ink cartridges including separate matte black and photo black to prevent wastage of ink, money and time. It supports printing from a wide range of devices, with connection options including Hi Speed USB 2.0, Wi-Fi, Wi-Fi Pictbridge and Ethernet. The Canon imagePROGRAF PRO-1000’s external design is reminiscent of Canon lenses. 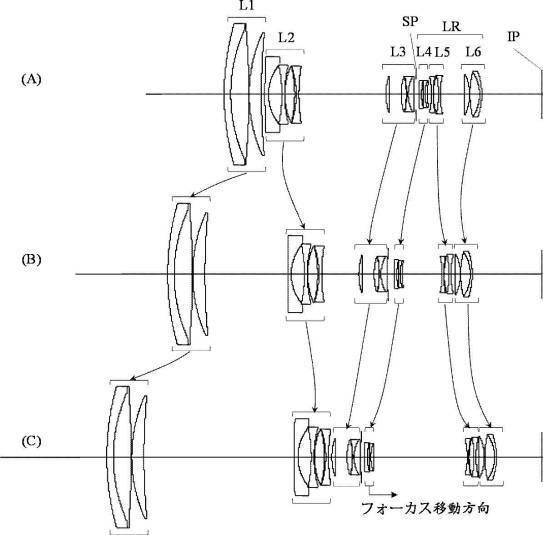 In July, I reported Canon filed a 'crazy' patent for a EF 40-800mm f/4.5-5.6 lens. A patent is just that, a claim on some intellectual property. It is a long way from being a prototype, let alone a marketable product. Last week, I reported Canon Professional Services was gearing up to support pro sports photographers at the 2016 Summer Olympics. 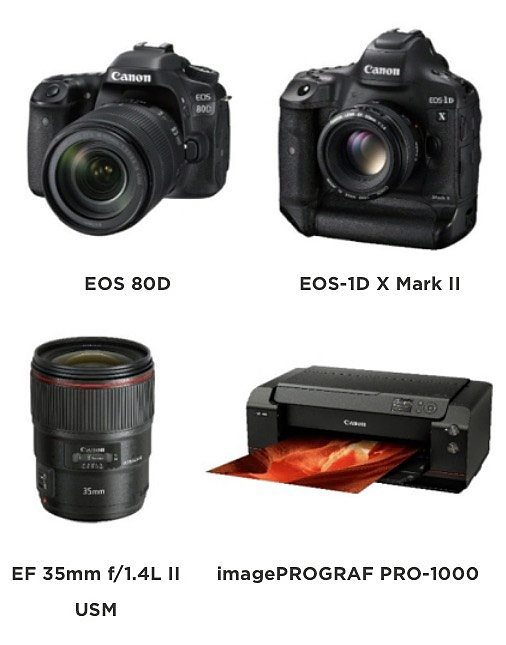 Now Canon has released a list of the most requested camera and lens equipment they are loaning out at the Games. I have used and own many of the gear on the list and have taken them on worldwide wildlife photo shoots. You can read my reviews on them below.